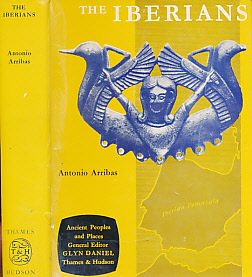 Barter Books : Arribas, Antonio : The Iberians. Ancient People and Places. Vol. 36. 220 x 160 mm (9 x 6 inches) - 274pp. VG: in very good condition with rubbed and chipped dust jacket. Tape repair to DJ interior, also some peeling of laminate. Bookplate on pastedown.